Kissing Bulldogs Magnetic salt and pepper shakers. Height 3 3/4". Love is a four legged word! Love Bulldogs? 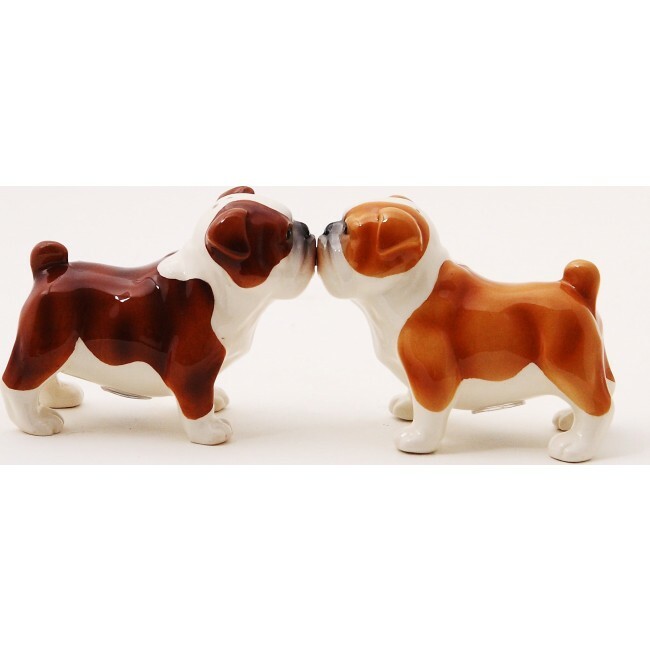 Get the Kissing Bulldogs 3.5" ceramic salt and pepper shakers. Features a magnetic insert to hold the two shakers together.